GOSHHHHH!! This precious girl has been coming to us for photos for YEARS y’all! We just love her to pieces! Olivia is turning FIVE, and we celebrated with fairy wings and smoke bombs. What fun! 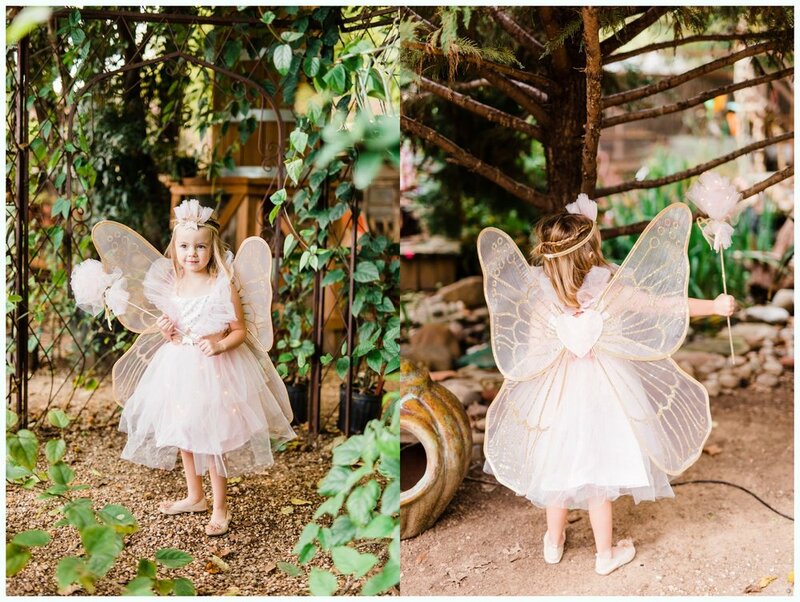 We started at Rustic Gardens and Imports in Denison Texas for some fairy garden photos. The garden is just the neatest place. If you haven’t been, you definitely need to go take a look around! Can you even handle this fairy costume?! Olivia was absolutely perfect in it and was the most adorable fairy we have ever seen! Her fairy outfit is from Pottery Barn Kids! After that, we went over to a local park for some smoke bomb photos. Olivia wasn’t the biggest fan of the awesome purple smoke bomb…but it was still really cool!